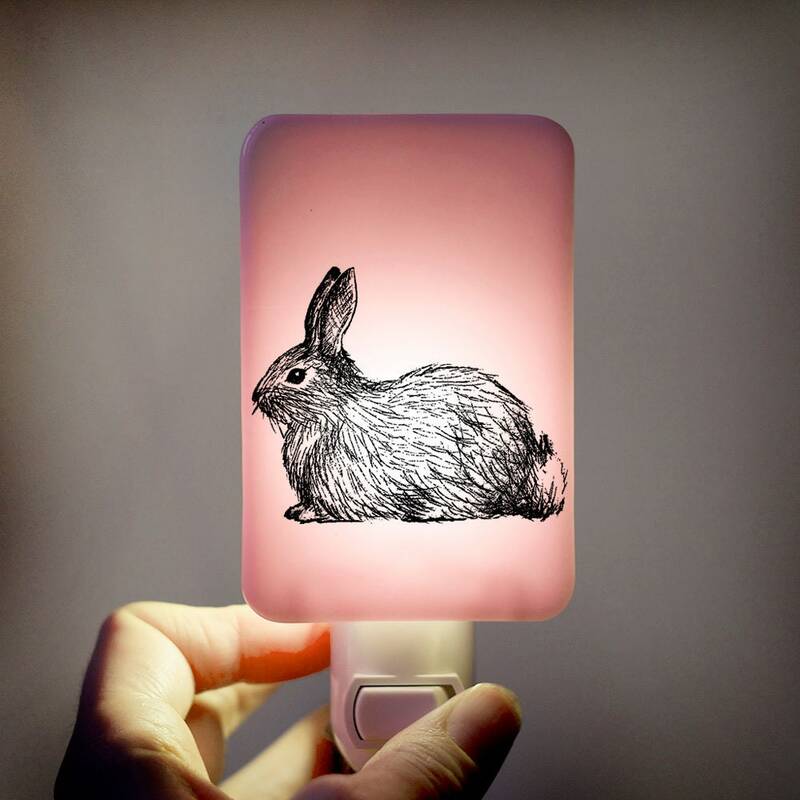 A handcrafted, beautifully illustrated bunny nightlight on a soft pale pink background... This sweet baby bunny is an original illustration by Tracy Bull--I am proud to not use any pre-fab imagery or decals in our work! Comes with a gift box, as shown in the last photo. Each of my nightlights is handmade with great care. They are crafted of fused glass and fired in a kiln to 1500°. Then, each is affixed onto a nightlight with an on/off switch (bulb included), and intended for use with any standard vertical outlet (120v). The glass face measures 2.5"W x 3.75"H. As all the tiny details are done by hand, your image may differ very slightly from the image pictured. Please note that all computer monitors are calibrated differently, and the color may differ slightly from the photo on your device. When turned on, the nightlights glow a warm color; when off, they are more in the cool range of color. They add warmth to any room, and are perfect for a nursery! 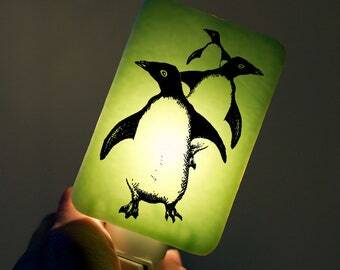 Want this animal nightlight in a different color from the image listed on Etsy? 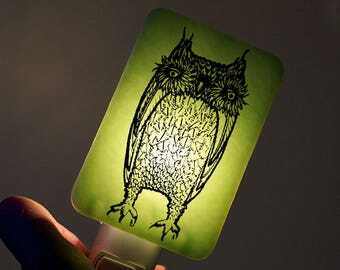 Just convo us and we'll re-list it for you, or purchase directly from our Custom Nightlight listing below. Repeat Customer. Love the Work! Very cute charm - thank you!